At Continental, as at most companies, we use the term 'Best and Brightest'. We are the Best and Brightest, we hire the Best and Brightest, we are constantly in search of the Best and Brightest. However, those are empty words until it is proven. Continental proves, on a daily basis, that we truly have the Best and Brightest, and today is no different. Naomi Wolfe was selected as Next Gen's Leaders In the spotlight. Next Gen and Apartment Careers Committee focuses on individuals among management companies that volunteer their time to help the community. Naomi started with Continental in December of 2015 and is now the Community Manager at Springs at Knapp's Crossing in Grand Rapids, MI. Since that time, she has embraced every opportunity that has come her way and has proven that hard work and determination help build successful careers. 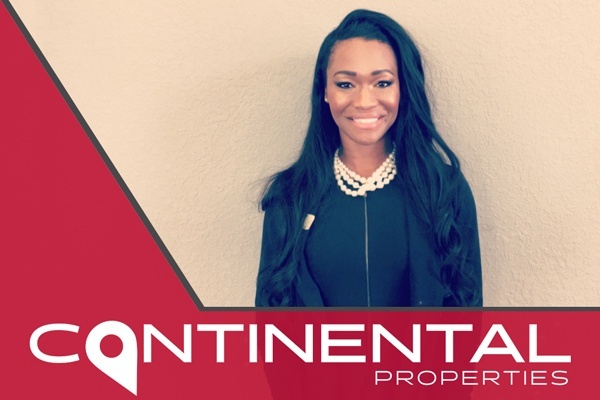 Naomi now has six years in property management and accurately defines what it means to be the Best and Brightest at Continental. HOW DID YOU FIRST BECOME INVOLVED IN MULTIFAMILY? By doing some temp work as a means of getting back into the real estate industry after a few years as a stay-home mom. Shortly into my assignment, I was hired on permanently and my career took off. FAVORITE PART OF YOUR JOB? I love that I get to lead a team and implement systems and strategies for achieving and exceeding both professional and personal goals. HOW DO YOU BALANCE AND PRIORITIZE YOUR MANY TASKS? Two words: Calendar Invites (I live by them)! UNRELATED JOBS THAT UNEXPECTEDLY PREPARED YOU? One of my very first jobs was selling pre-IPO stock over the phone. This work prepared me for what I currently do by way of sales, organization, active listening, exceeding goals, dealing with upsets, and Emotional Intelligence. A great deal of what we do boils down to being able to tune in and customize our approach to situations based on the customer’s perception. MOST BENEFICIAL MISTAKE YOU MADE EARLY ON IN YOUR CAREER? The most beneficial mistake I made early on was not putting boundaries around my off-time. Since then, I have learned to keep my personal and family time sacred. While there are the occasional work-related emergencies, I do my best to be present with my loved ones when I am not at work. WHAT ADVICE WOULD YOU GIVE TO OTHERS WHO ARE NEW TO THE INDUSTRY? Make sure to align yourself with a company whose culture aligns with your values. Also, be open to learning & growth opportunities that stretch your perspectives. Remember that each day brings something new, so being a team player at heart and having a positive view will often get you through even the most challenging scenarios you’ll encounter. HOW IS THE INDUSTRY APPEALING TO YOUNG PROFESSIONALS? This industry is awesome for young professionals because it gives you so many ways to flex your skillset and grow! It offers the opportunity to help run a business, train and lead a team, create new solutions, work with various stakeholders, network, travel, and embark on new adventures. *the above content was copied from Next Gen's article entitled "Leaders in the Spotlight"